Zoran Poposki's video has been selected for the OthersToSpecify playlist of 50 videos curated by SpecifyOthers, out of a total of 781 entries, to be shown on a big public screen in New York. OthersToSpecify will be presented on October 25th, 5-9 pm at BIG SCREEN PROJECT, 6th Avenue and 29th Street in New York, with reception starting at 7 pm. An interactive screening of 100 jury-selected videos will be held November 2nd, 12-10 pm, and November 3rd, 11-7 pm; with a roundtable discussion on November 2nd at 7 pm, at WHITE BOX in NYC. 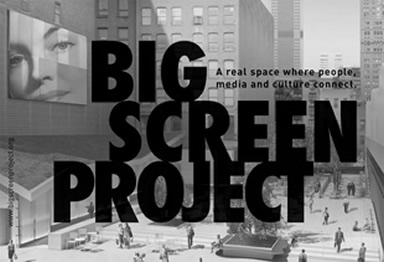 The Big Screen Project is an innovative presentation model for video, film, live and interactive content. It consists of a large 30 ft. x 16.5 ft. HD Format LED screen located at the 10,000 sq. ft. public plaza behind a new 54-story multi-use building on Sixth Avenue between 29th and 30th Street in New York City. The vision is to expose the general public to fresh cultural content and to raise awareness for inspirational aims on subjects ranging from the ecological to the humanitarian.